Now that you have chosen your apartment (and its size), your new home could do with a door plate to match its owner – so, add the starting touch by choosing a door plate color you prefer. While doing so, you may notice that some neighbors come and go. This is because (once a week), a reset takes place that randomly changes their location to different floors. The inn has a total of 9 rooms per floor with the amount of floors increasing each time the apartments on a single floor gets filled up with players. Your neighbors will be swapped around to different floors at the end of every week which gives plenty of opportunity to meet all kinds of people and make new friends near your own apartment. 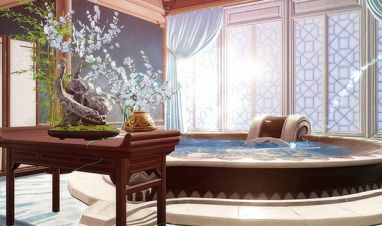 There is also a maid on the first floor of the Inn who can let you tour apartment interiors created by the NetEase team. Looking for some pre-decoration inspiration? Then this is the perfect opportunity to get some ideas before you get your hands dirty moving your own furniture. Don’t forget that you can also visit apartments owned by friends to see what they have come up with, too. 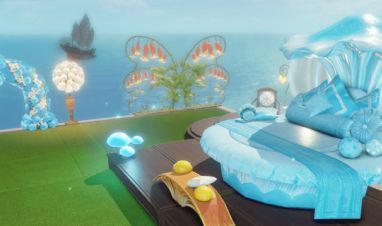 The Volopines at the Inn also provide types of furniture and decorations for you to purchase, so be sure to have a look at what they offer and choose decorations that suit your vision of a dream apartment. You can also craft your own furniture via crafting. Press V to open up the crafting window and check out some of the various furniture you can craft throughout multiple professions. You’ve got an apartment and have stocked up on furniture. It’s now time to make your private property ‘homely’. Purchase a private island, decorate a villa, adorn a showroom! If you were looking to upgrade from stylish apartment to a more private island, this guide is for you.